Congress leaders said the party's improved electoral performance in Gujarat was the result of their new chief Rahul Gandhi's effective leadership. NEW DELHI: Congress leaders today said the party's improved electoral performance in Gujarat was the result of their new chief Rahul Gandhi's effective leadership and the beginning of his political story. While Kamal Nath pointed out that Gujarat is a BJP bastion and Shashi Tharoor appreciated the fact that the "journey" had been good, Renuka Chowdary hailed Gandhi for his "brilliant intervention". "Every election has its own message. Gujarat has been the BJP's bastion. It is the home state of Prime Minister Narendra Modi. "The Congress' tally has gone up there, while the BJP's numbers have fallen. 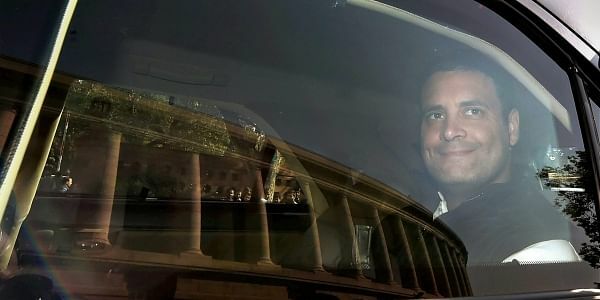 This is the start of Rahul Gandhi's political story," senior Congress leader Kamal Nath told reporters outside Parliament. "Congress has done brilliantly. Our strength has increased. Morally, it has been a brilliant intervention of Rahul Gandhi," Chowdary said. She also accused the prime minister of postponing the winter session in view of the assembly polls and taking personal swipes at opposition leaders during the poll campaign, marking a "new low" in public discourse. The jump in the Congress tally, according to trends, was due to Gandhi's "very effective" campaign in the state, Shashi Tharoor added. "We may not have reached the destination, but our journey was good," Tharoor said. According to latest trends on the Election Commission website, the BJP was leading in 102 assembly segments, while the Congress was ahead in 74 seats. In the last election result in 2012, the BJP won 115 seats and the Congress 61.